Clorox 2 CLO 30597 Pre Treat Stain Fighter Precision Pen for Colors, 2 oz (Case of 12) by Clorox at Blog Free Here. SKU: ATD01710. MPN: CLO 30597. Hurry! Limited time offer. Offer valid only while supplies last. Clorox 2 stain fighter precision pen for colors. The pen is mightier than the stain, as long as the pen is a Clorox 2 pre-treat stain remover pen. 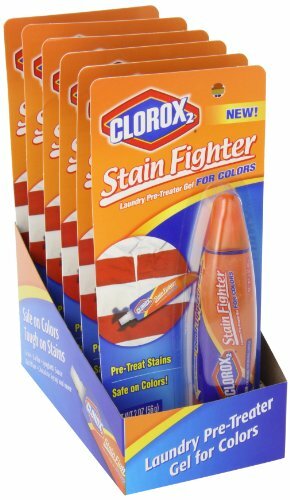 Clorox 2 stain fighter precision pen for colors. The pen is mightier than the stain, as long as the pen is a Clorox 2 pre-treat stain remover pen. It's specially designed to pre-treat stains on colors, and features TripleSolve technology to penetrate, dissolve and eliminate tough messes. Dual side-fine point for precision and a broad scrubber for large areas. Use to remove stains of grass juice, wine, dressing, sauce, body fluid, dirt and other.